Today is a bittersweet day as it is the last one with my wife Jayme here at Mount Vernon. She flew out for my graduation last Thursday and will return home to Liberty while I stay for roughly another week of my fellowship. We've been two crazy kids, history geeks, seeing a lot of cool places that we have often read about and watching in documentaries. 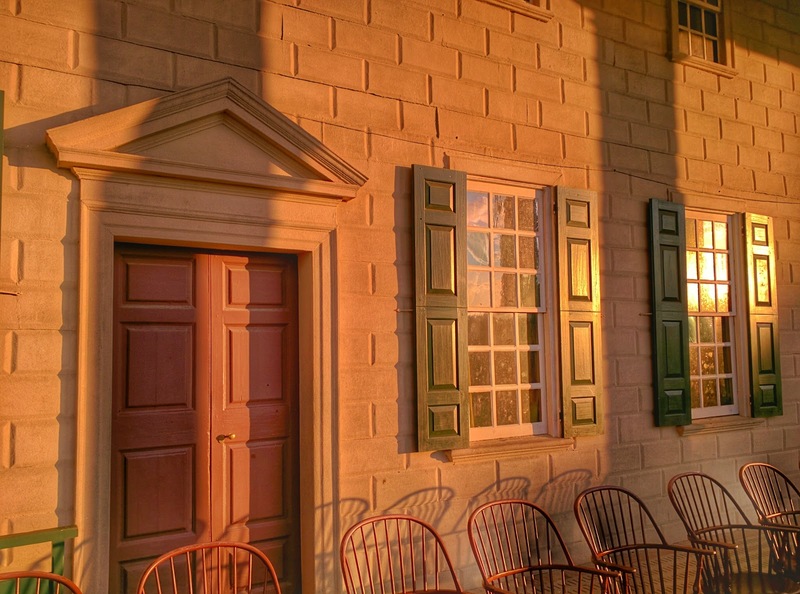 One thing Jayme had not yet seen on her visit to Mount Vernon was the sunrise from the Mount Vernon mansion piazza. When I asked last night if she was game to get up early - roughly 5:20 AM - she said yes so we set our alarms and headed out to reach the piazza before the sun poked out above the trees. Quite a few teachers attending the Mount Vernon Teacher Institute this week had the some idea and were on the piazza when we arrived. It was a beautiful morning with relatively comfortable temperatures for Virginia in July and no rain in sight. 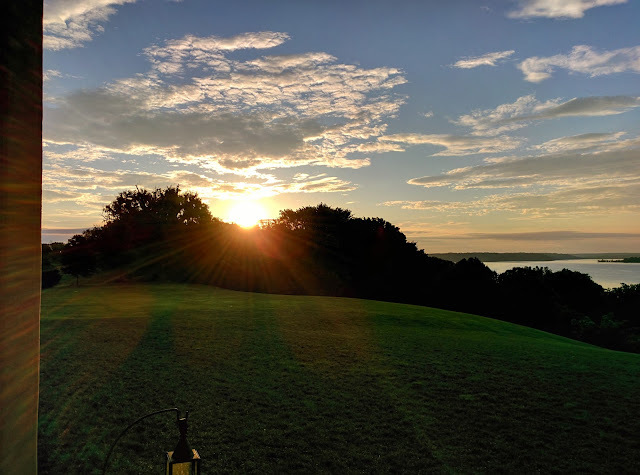 I have said this in previous blog entries but it is a truly emotional thing to watch the sunrise over the Potomac with almost the exact same view that Washington would have had when he was alive back in the late 1700's. I have included some pictures below. This afternoon I took Jayme to the airport and was a little sad that she was no longer there with me but also very appreciative of the time we were able to spend out here together. Typically I write my blog entry for the day in the evening before called it a day but there were so many things happening with family the past several days I wasn't able to keep up with the daily routine so I spend some time today catching up with my blog posts. Tomorrow is a full day of meetings, lectures and getting back to work on creating my middle school archaeology unit.